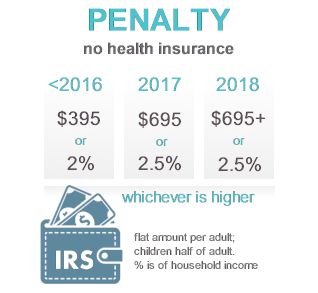 Big shake up in California 2018 Open Enrollment. 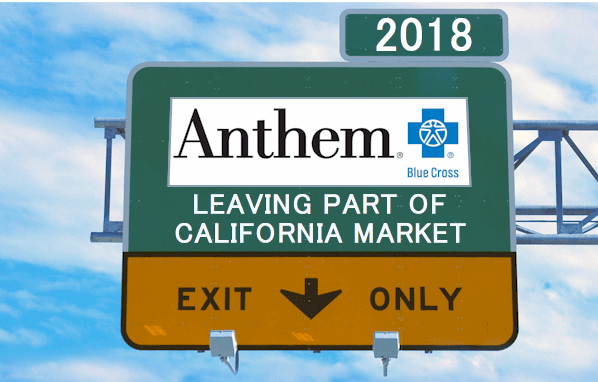 Anthem Blue Cross has announced that they will leave many counties in California starting Jan 2018. We'll look at the alternative options if you're affected. This change does not affect medi-cal, Medicare, Grandfathered plans, or group health plans. Anthem insures roughly 153K people in the affected category across the State. Anthem will continue to offer plans to an estimated 108K people in 3 rating areas (roughly Santa Clara, Redding/Far North, and Modesto/Stockton) only starting Jan 2018. Region 1 includes Alpine, Amador, Butte, Calaveras, Colusa, Del Norte, Glenn, Humboldt, Lake, Lassen, Mendocino, Modoc, Nevada, Plumas, Shasta, Sierra, Siskiyou, Sutter, Tehama, Trinity, Tuolumne, and Yuba counties. Region 7 includes Santa Clara County. Region 10 includes Mariposa, Merced, San Joaquin, Stanislaus, and Tulare counties. Their press release talks about stabilizing the market, etc but we can basically infer that they were losing a lot of money in those other counties. People on Anthem plans can remain on them through the end of 2017. If you're losing your Anthem Blue Cross plan in 2018, let's look at how to proceed. Open Enrollment starts Nov 1st and ends Jan 31st. We want to pick a plan and enroll by Dec 15th to get a Jan 1st eff date. That's very important so you don't have a lapse in coverage. You're allowed to change carriers and plans during this window regardless of health. So...where are we likely to go? Most people who chose Anthem Blue Cross (and we've enrolled 1000's of them) had their EPO plan. The EPO is a scaled down PPO plan with no benefits outside of the network in a non-emergency. If you want the flexibility, control, and breadth of providers that the EPO offered with Anthem Blue Cross, then we're looking at Blue Shield of California or Oscar. In California, Blue Cross and Blue Shield are two separate carriers at the individual/family level. In 2018, Blue Shield and Oscar will see a huge swell of enrollment due to Anthem's departure. For many people, Oscar is new to them. Oscar is trying to disrupt the health insurance market with technology. We've been in health insurance over 25 years and we're cautious but pretty excited about Oscar! You can find more information on Blue Shield's 2018 Plans, Rates, and Reviews here. Oscar 2018 Reviews Plans and Rates are here. There may even be a auto transition of Anthem members losing coverage to the equivalent Blue Shield or Oscar plan. I.e. Gold Anthem EPO to Gold Blue Shield PPO or Oscar EPO. This is for members who do not make a change themselves. 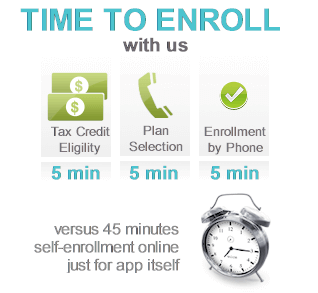 We're happy to help quote, enroll, and even make changes to existing Covered California accounts. Select "More Actions" at bottom and then "Manage Delegates"
Click on the "Get Help" up top and then "Find Local Help" and then "Find Certified Insurance Agent" on right. Click on "Find an Agent" and search for last name "Jarvis" on the right side. Click on "Dennis Jarvis" and hit designate. Hit "Continue" and check 3 boxes with signature. Just email back when completed and we can help with 2018 options. Thanks! We're licensed and certified Covered Ca agents. Our assistance is 100% free to you! Once we're delegated, we can help you compare all the options available for 2018. Most likely, Blue Shield or Oscar will be the best fit if you're losing EPO coverage with Anthem but we'll quote the entire market. 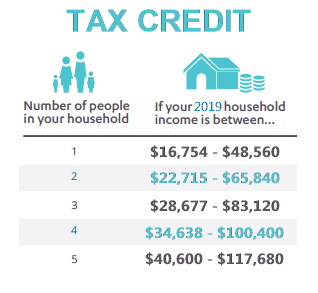 It's also a good time to revisit the income estimate for 2018 to see if we can get more tax credit or Enhanced Silver plans. We can also look at the lower priced HMO's available in your area since some of them have very high marks from customers. They can even have access to some really good hospitals and medical groups. So...losing Anthem is not a disaster. We just need some guidance and expertise on new options. Let's look at some highlights but again, we're here to help with this transition. We want to make sure your doctor participates with the Blue Shield or Oscar network. When you run your quote, there will be a link for Provider Search under every plan. 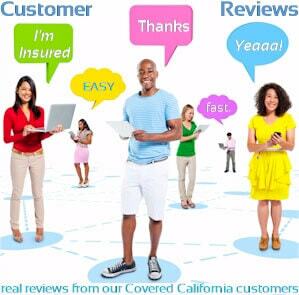 You can click on that link OR ask your doctor what "Covered California"� plan they participate with. Both Oscar and Blue Shield have UCLA and UCSF which is really important! We're also happy to help you research doctors as well if you have any issues! Just email us doctor names and cities so we can get to work! Keep in mind that benefits are standardized now. If you had a Silver plan with Anthem Blue Cross in 2017, Blue Shield or Oscar's Silver plan will be the same. There will be slight changes to core benefits at each of the four levels in 2018 (happens every open enrollment) but the carriers each offer the same benefits. The RX formulary list will be different from Anthem to other carriers in 2018. Running countless drug searches for clients, we noticed that Anthem's Select Rx list was not great. Blue Shield or Oscar, on average, have had a broader list of drugs covered. We can send you over the formulary for 2018 when it's available. Just request it here. Each carrier will have their own drug list so it's important to check but Blue Shield's PPO drug list or Oscar's EPO list has generally been broader. There are situations where Anthem was better priced. In other situations, Blue Shield was better priced. For 2018, Oscar's EPO is hard to beat in terms of pricing. First, if you want a PPO style of plan, we don't too many options.. It's Blue Shield or Oscar for 2018. If you were on an HMO, we may have some regional players to compare with very good pricing. Depending on your area, some of these carriers have great networks. SHARP down south. Western Health Advantage in Bay Area and Sacramento. LA county is tough for HMO since LA Care, Molina, and Health Net have very small networks. Shield also has an HMO but we probably want to re-evaluate all the options at this point. Most of their enrollment was in the EPO plan so Blue Shield is the primary (if only) alternative there. Open Enrollment starts Nov 1st but we want to change plans/enroll by Dec 15th to get a 1/1/18 effective date. We're here to help. Certified Covered Ca agents. 1000's of Californian's enrolled. Knowledgable. Helpful. Friendly and Honest. Run your 2018 Covered California quote here once new rates are posted sometime in October. Get up to date information on Anthem Blue Cross through Covered Ca Update here. You can run your 2018 Anthem Blue Cross Alternative health plan Quote here to view rates and plans side by side from the major carriers...Free.